The 15th century guildhall in Norwich occupies the northern side of the large market place, with the medieval church of St Peter Mancroft opposite and the art deco city hall to the west. 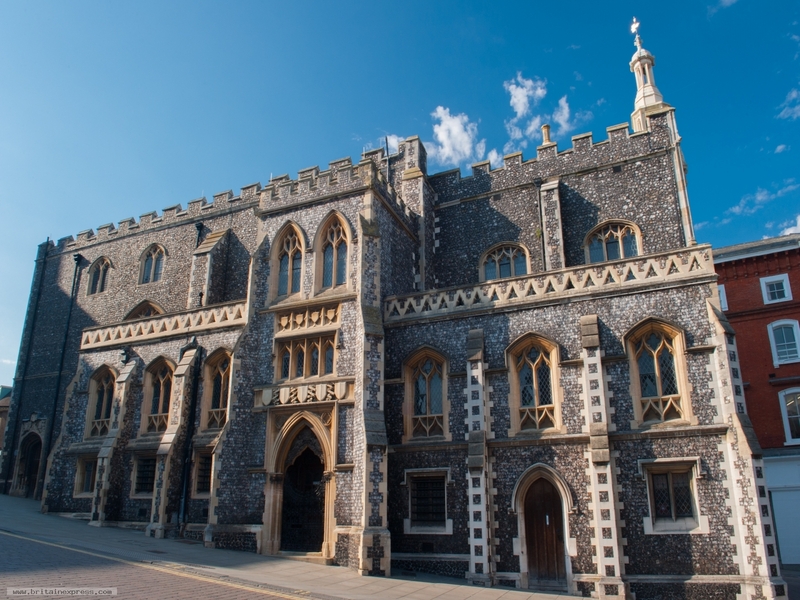 The Guildhall is the largest city guildhall in England outside London, and is a wonderful example of Norfolk flint work construction. The bottom floor of the Guildhall is now occupied by a cafe, but the medieval council chambers on the upper floor can still be visited by arrangement, as can a Victorian court room created from the original Sheriff's Court.